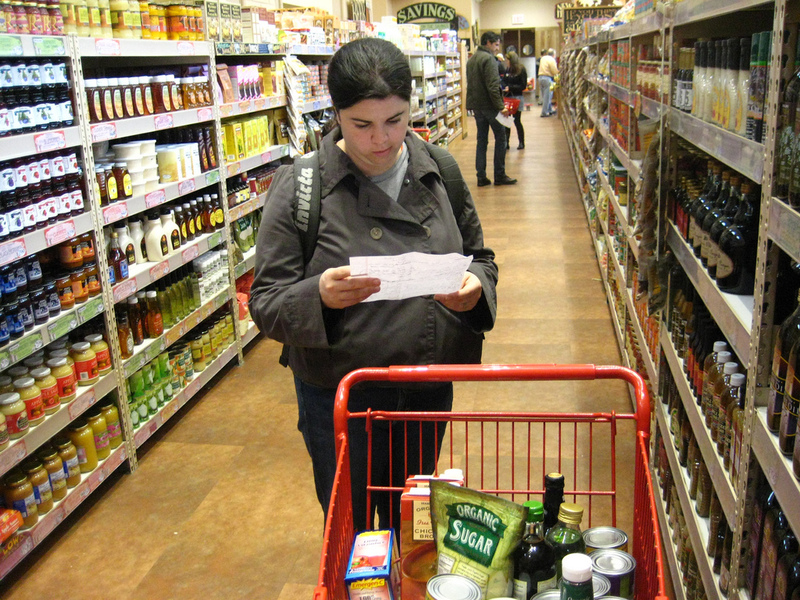 While consulting her shopping list in Trader Joe's, Karen is perplexed. 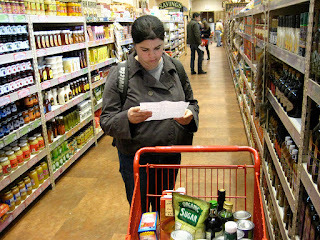 It looks like a Trader Joe's, it smells like a Trader Joe's, yet the Two-Buck Chuck* is nowhere to be found. We believe it has something to do with these so-called "liquor licenses" nevertheless we are not amused. * Rumor has it that it's Three-Buck Chuck outside of California.